I can't believe it's already September & Christmas is getting closer and closer. I'm so excited because I love Christmas & the atmosphere of it. 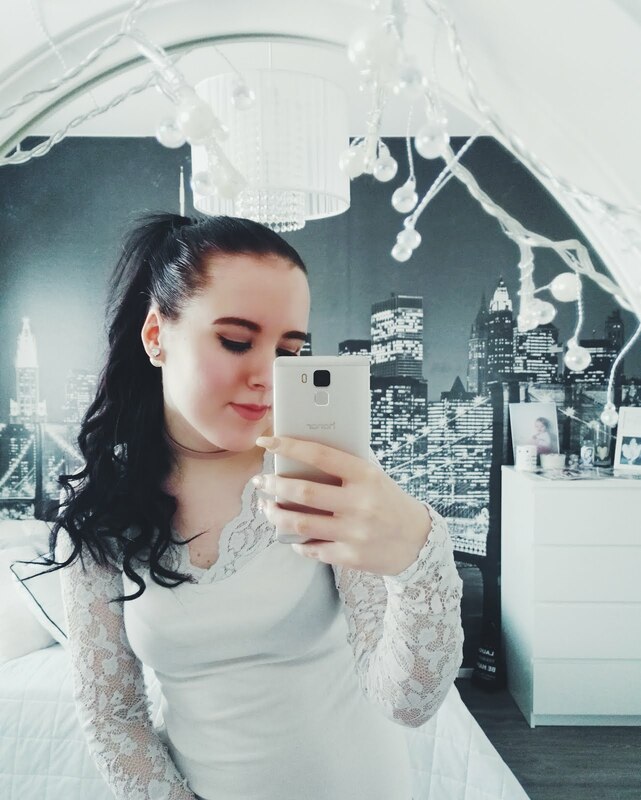 In this post I'm going to tell you about my dream style. My style inspirations are Kylie Jenner, Ariana Grande, Gossip Girl & Lauren Conrad. I have shared my dream styles in 4 sections: Summer -, Winter -, Party - & Casual style. My dream summer style would include lace, maxi skirts & stylish sunglasses. I have said before that I love black & white clothes because those are so stylish & it is easy to add colourful bag or shoes with it. I have really curly hair so I love to keep it curly for summer but often straighten it. My summer makeup is always really natural & it includes just mascara & lipstick. My dream winter style would include burgury, red, silver, gold & white. For this winter I want to buy & use red lipstick because I want to wear something different & it also fits great for Christmas. Jeans would be black because I love to have casual jeans because I love to put stylish top with it like in this pics. My hair would be straight or some curls. My dream party style would be girly, stylish & glamour. I love to use jewelrys like pearls, rings & big earrings & I have always wanted to buy a big diamond necklace. I love lace dresses & "casual" dresses because I love to add unique purse or diamond necklace with it. My makeup usually is mascara, brown eye shadow, dark pink lipstick, lipliner & eyeliner. 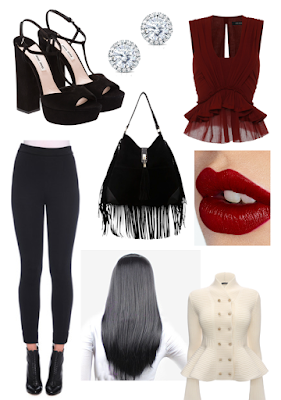 My dream casual style would include black & white, lace, diamonds & peplum tops. I love to use big necklaces & big earrings almost everyday. I always use black jeans. My tops usually are white so my dream tops would also be white or rose colour. I usually have straight hair unless it's vacatition or something like that. My make up includes, eyeliner, mascara, lipstick, lipliner & brown eyeshadows.